In these times of frightening political instability and peaceful public protest, we all know there is one uniquely South African issue we cannot discuss without the threat of violence and promise of retribution: bakkies. Many other markets claim to know bakkies. The Americans buy more double-cab personal transport vehicles than anyone else, and Australians like to imagine their depreciation-proof currency and enormous, mostly sandy, island makes them the global test case for what bakkie customers really want. But they’re all trapped in an echo-chamber of their own biases and ignorance. Only Mzansi-people really know bakkies. We farm in more challenging terrain with our bakkies. Mine deeper than the Australians. And ultimately, tour into Africa, where reliability issues have real consequences and there are actual mountains to navigate up, over and across – unlike Australia, which is mostly flat, with one famous rock. 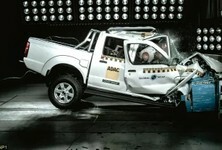 It’s why bakkies, specifically double-cab bakkies, sell so remarkably well in South Africa. 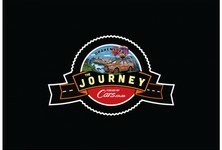 They promise to deliver the true dual-purpose ownership experience: part family car, part off-road workhorse. Decades of reliance on the bakkie to build businesses and enable memorable adventures, have galvanised opinions around them. 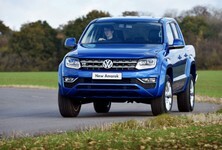 Opinions which are, in the minds of South African bakkie owners, simply indisputable. Mechanical engineering is an evolutionary pursuit, and as such even the double-cab bakkie must evolve. Not that such evolution is met with anything but absolute derision from the mass of supposedly knowledgeable bakkie buyers. 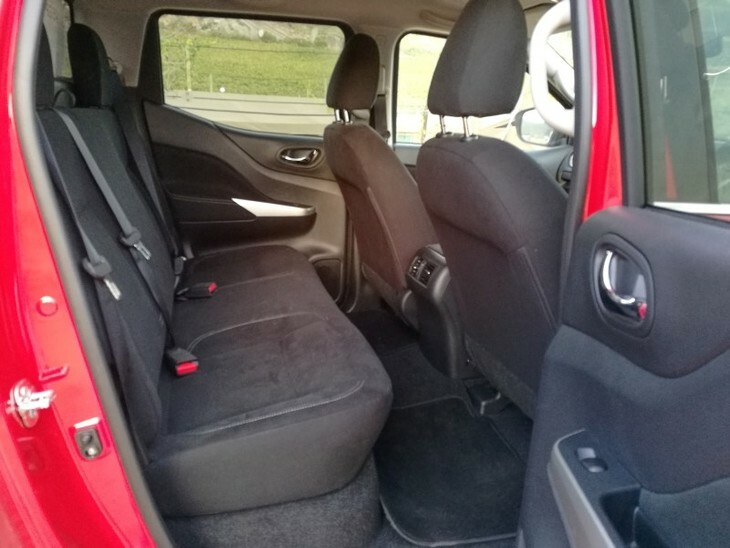 The well-appointed passenger car-like interior is a continuation of the "overtly SUV-like bakkie" theme. 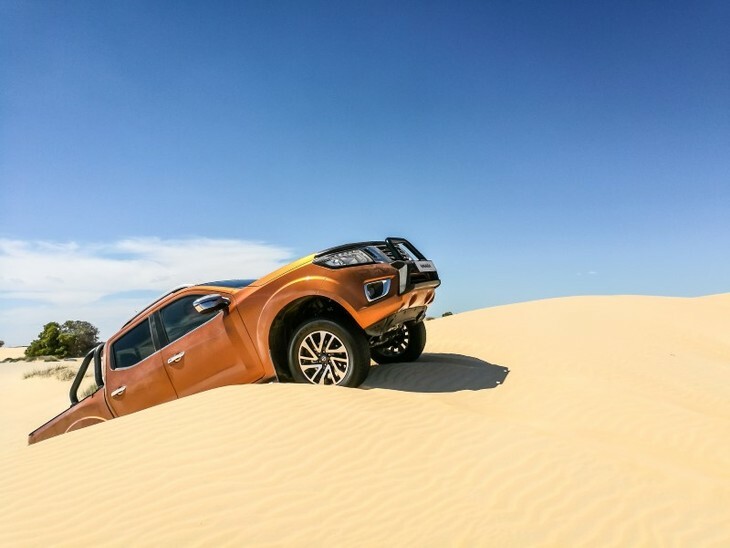 The most marked evolution in double-cab design to be delivered into South Africa’s bakkie market, in the last decade, is Nissan’s new Navara. 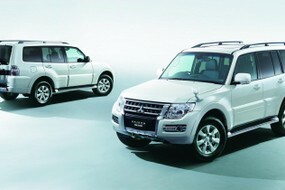 And no, it’s 2.3-litre turbodiesel four isn’t that revolutionary, nor is the 7-speed automatic transmission. It’s the bits at the rear wheel corners which herald an immense change in bakkie design, and grate against all conventional workhorse wisdom. Nissan decided to modernise, you see. To finally, in the 21st century, move beyond conventional bakkie rear suspension technology which sources, quite embarrassingly, from the 19th-century practice of leaf springs. Easy to manufacture and replace, the presence of leaf springs in modern vehicles, with plush leather cabins and powertrains capable of 180kph, remains a ridiculous state of affairs. As such, new Navara has a coil-sprung solid axle at the rear, with multiple links to keep it in place, instead of a stack of flat-bar strips, clamped together – which is essentially what leaf springs are. 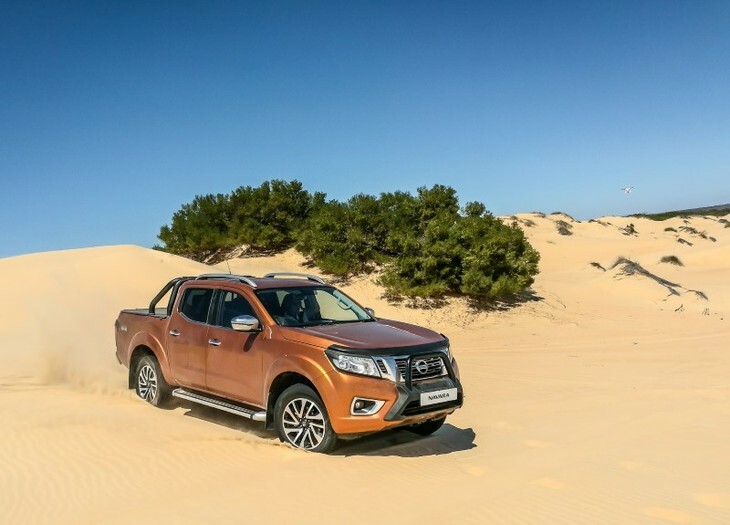 The Navara got the opportunity to demonstrate its off-road prowess during the newcomer's recent price launch. "But they’re robust and they work." Quite. But the Nokia 3310 was robust and worked well too, then the Smartphone revolution happened and nobody wanted one ever again – until this year, because they’ve been future-proofed and relaunched with Smartphone functionality. 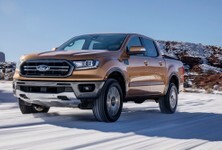 If you prefer a more bakkie-centric example, solid front axles were the only option for double-cab bakkies in South Africa for two decades, from the 1980s to 2000, yet today they’re all independently sprung up-front and notably better for it. Leaf springs are awful because they originate from 19th-century horse-driven carriages and wagons, and horses aren’t capable of 160 kph on gravel roads. The combination of side-loads and high-frequency bumps – at triple digit speeds – upset leaf-sprung suspension dynamics something tragic. If you’ve driven an unladen double-cab through the Karoo, or on Namibian gravel roads, you’ll know of the nauseating bump steer I’m referring to. Traditionally, rear passengers felt the brunt of the leaf-sprung suspension's lack of pliancy, but that is not applicable to the new Navara. For Nissan, there was a superior solution they could no longer ignore: coils. A coil spring requires much less initial force to initiate its energy absorption properties, and those bumps which overwhelm the damping effect of a leaf spring, are effortlessly absorbed by the stroke dynamics of a coil. Better yet, coils are compact, vertically linked, suspension packages, unlike leaf springs, which are elongated and horizontally tensioned – making them terribly susceptible to side loads. It’s why leaf-sprung bakkies are always twerking on dirt roads and over sandy terrain with surface ripples, instead of tracking straight. Volkswagen Amarok, Mazda BT-50, Toyota Hilux, Isuzu KB, Ford Ranger and Mitsubishi Triton owners will remain defiant, arguing that a coil-sprung live axle is a novelty, incapable of proper load-bearing. It’s true, leaf springs do resist vehicle sag under load better, which is why trucks have leaf springs. In the real world, though, there are three immensely persuasive arguments against the traditionalist view of leaf springs being the double-cab bakkie suspension option of choice. The first issue I have mentioned already: evolutionary engineering. 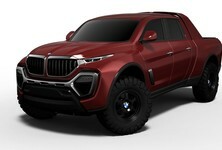 If we believe that any new innovation is superfluous, adding complexity, cost and field service vulnerability, bakkies would never have gained ABS, ESP with trailer-sway mitigation, fuel-injection or cabin-selectable four-wheel drive. I, for one, am rather grateful for not having to get out in the sweltering heat, or bitter cold, to lock hubs once gravel roads deteriorate into properly challenging off-road terrain. Self-locking hubs have made shift-on-the-fly functionality ubiquitous; ABS and traction control make hill descent management automatic. Coil springs are the superior progression in suspension design, and have been proven on the front axle of double-cab bakkies, replacing leaf springs. This promotes the argument that nearly all current double-cab cab owners have a 50% acceptance of this design trend – without realising it. ‘For real off-roading leafs are more reliable.’ In your imagination, yes, and if the year was 1960, perhaps, but you’d struggle to convince most engineers who build the fastest off-road racing vehicles in the world to trade their coils for leaf springs. Toyota’s tremendously successful, South African designed and built, Dakar Hilux racing bakkies have coils at the rear, instead of the production Hilux’s leafs. I’d argue team boss, Glyn Hall, and star driver, Giniel de Villiers, with multiple podiums and a victory between them, in the world’s most testing off-road race, know better than any of us. The loadability argument is perhaps the issue coil detractors are most virulent about. Leaf-sprung rear axle fanatics refuse to admit that coils could ever tow, or carry load, without sagging or bottoming-out over obstacles off-road. To believe this, you would also have to judge Land Rover’s Defender as the weakest off-road load carrying bakkie of all, which it isn’t. Naturally. If you were required to move loads across broken terrain to a conventionally inaccessible location, Defender bakkies are amongst the most capable – if not the best – vehicles to accomplish the task. And they’ve had coil-sprung front and rear axles since the 1980s. Rated to carry a weighty 1 350 kg, have you ever seen a Defender 130 double-cab sagging under load, or bottoming-out off-road? Exactly. 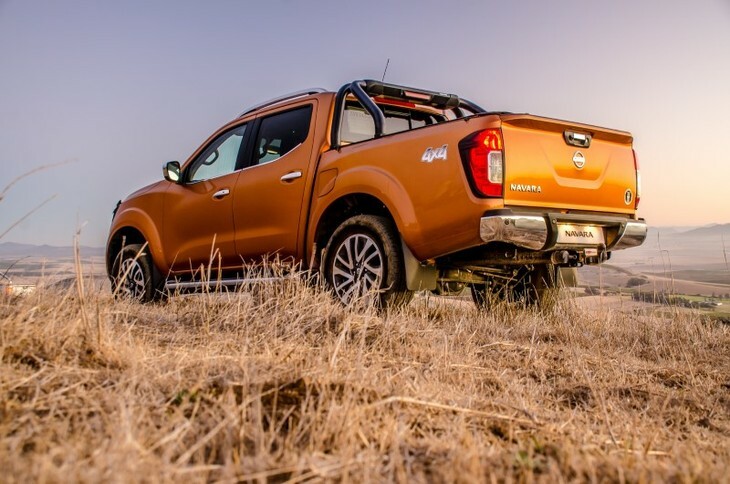 Navara, then, a revolution in bakkie design? I’ve driven it at speed on the calibre of dirt roads that overwhelm bakkie ESP systems and make you feel like you’re piloting your double-cab on a gravel version of the Nürburgring’s Karussell. And it’s brilliant. Unbothered. Stable. Completely untroubled. Off-road, the rear tracks with confident accuracy too, settling after big hits instead of bucking like most leaf sprung double-cabs do. Loadability? South African Navaras have a higher ride height than most other markets and are closer to the improved coil spring and rebound damper package which was introduced to the Australian market in March, after owners complained the factory springs were slightly under specced. 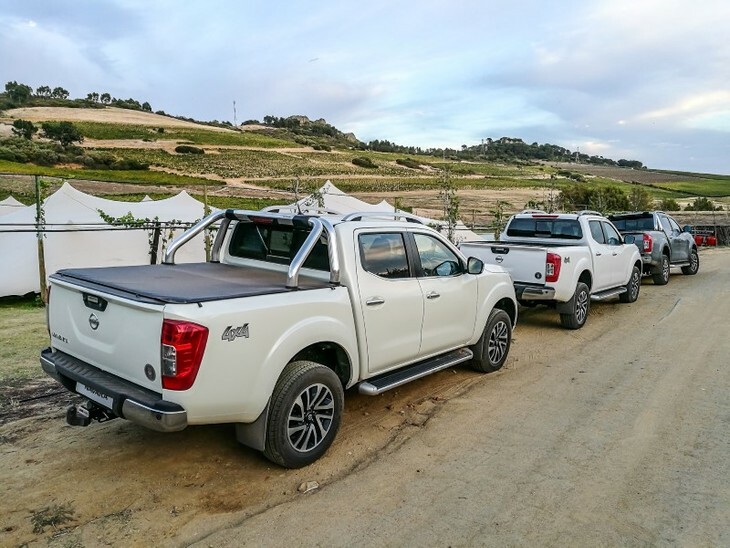 Don’t imagine for a moment that Everest and Fortuner’s coil won’t be available on the new Ranger and Hilux double cabs when they arrive in South Africa. For more than three decades there have been coil-sprung Defender 110 and 130 double-cab bakkies roaming the most testing terrain in the world. 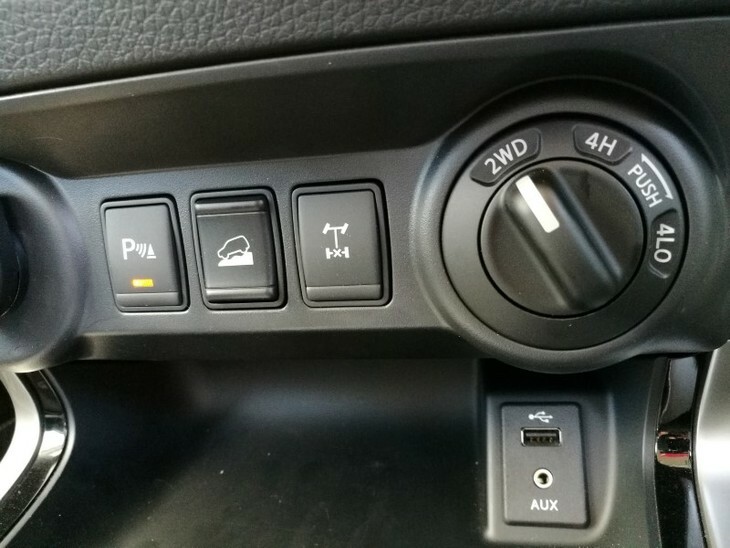 Now, finally, you can have the stability, traction and comfort benefits of coils at all four wheel corners, without the military heritage ergonomics or ‘barely-legal’ 120kph top speed performance which made Defender rather undesirable as a South African family double-cab. Everest and Fortuner have coils too and you can be sure Ford and Toyota are busy planning to transplant those to Ranger and Hilux soon. Because if you are paying nearly R600k for a double-cab with a rearview camera, you don’t expect 19th-century suspension design as standard, now do you? 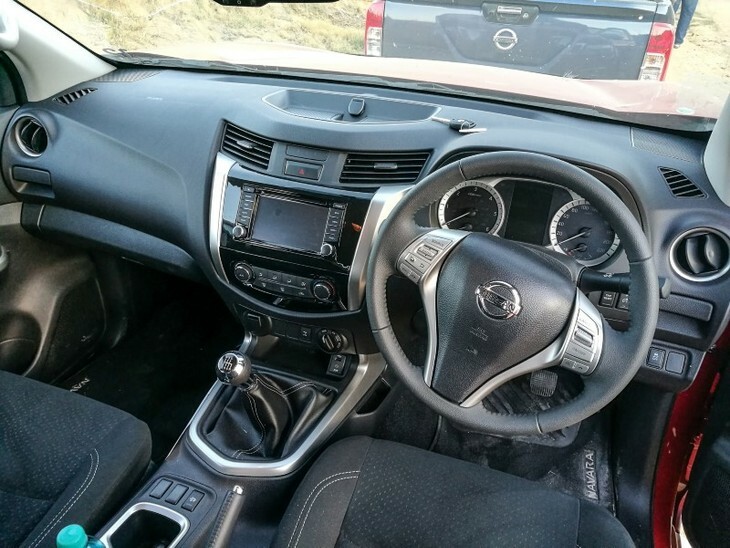 Want to buy a Nissan Navara?